Our signature ride. Perfect for the whole family! This award winning tour, voted "Most Unique Experience" in the Luxury Trail Guide 2016 awards, will take you through the stunning, pristine, primary rain forest and open farm land of our 1300 acre private reserve. 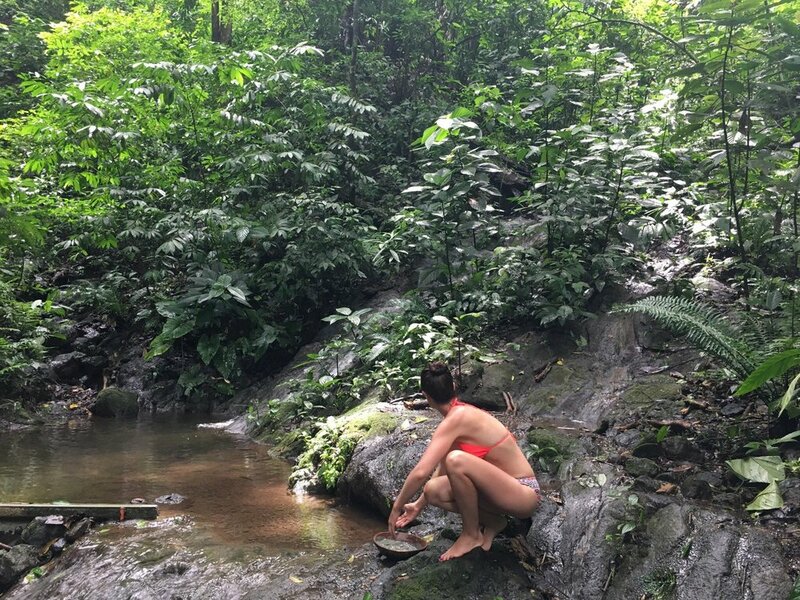 Surrounded by amazing flora and fauna, you will arrive at a beautiful spring fed waterfall in the heart of the jungle. 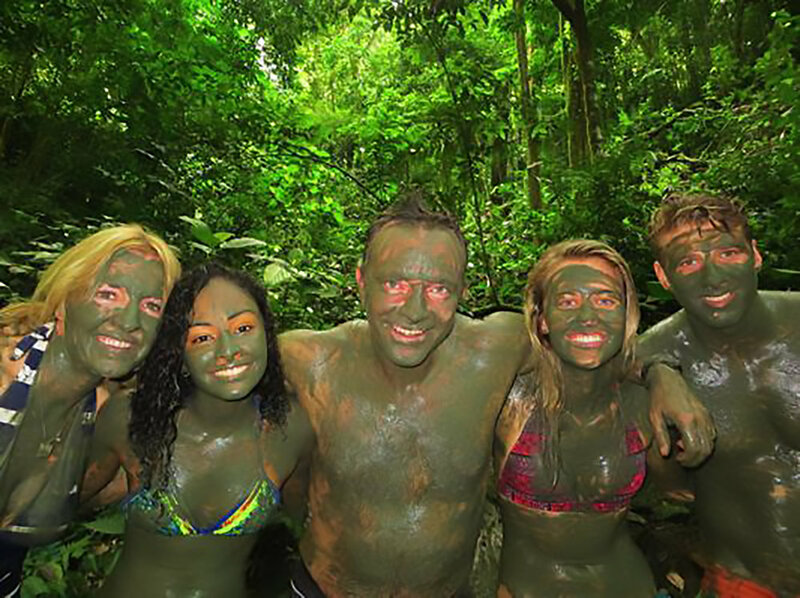 Here enjoy the natural volcanic spa mud that will leave you feeling refreshed and rejuvenated. This tour is perfect for first timers and experienced riders alike. As young as two years old accepted. A perfect combination of riding, nature exploration, relaxation and fun. A completely unique experience that won't leave you feeling sore. CASH ONLY ON GROUP TOURS! NO CREDIT OR DEBIT AVAILABLE. Bookings over 4 people pay a non refundable amount to hold booking. This tour is also available as a once in a lifetime private honeymoon, anniversary, proposal treat or a group private excursion. $390 per tour limit to 4 people. For a couple's private ride this includes champagne and strawberries! CASH ONLY! NO CREDIT OR DEBIT AVAILABLE.